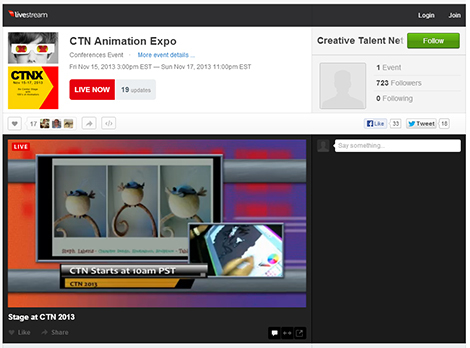 If like me you couldn’t make it to CTNX this year, don’t despair. Tina Price and her crew are offering a free broadcast with demos and live interviews of several participants. Click on the following picture to access it. I think you can also ask questions in realtime….. too bad I only realized that late yesterday. It would be awesome if the conferences held in the tents and secondary venues were also broadcast as those were just as much interesting and sometimes even better last year. Here is where you would order the paying option and I have been told the content will still be available 15 days after the show ends. Here are some of my favourite artists being interviewed: Bobby Chiu and Jesse Aclin. There was a quick demo with the awesomely nice John Nevarez which I will post when I find it. Thanks Tina, your crew and all the volunteers. 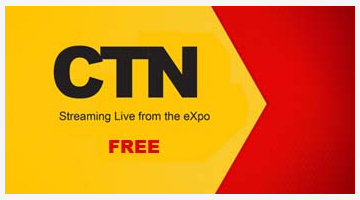 With the addition of the live broadcast and recording, CTN is definitely a one of a kind event.